Lottery Day, Goodman Theatre, closes 4/28/2019. McKENZIE CHINN (MFA, Acting, ’11/Faculty) is in the cast. Sweat, Goodman Theatre, closes 4/14/2019. EDGAR SANCHEZ (BFA, Acting, ’07) is in the cast. KEITH PARHAM (BFA, Lighting Design, ’98) is the lighting designer, and ALDEN VASQUEZ (Faculty) is the production stage manager. 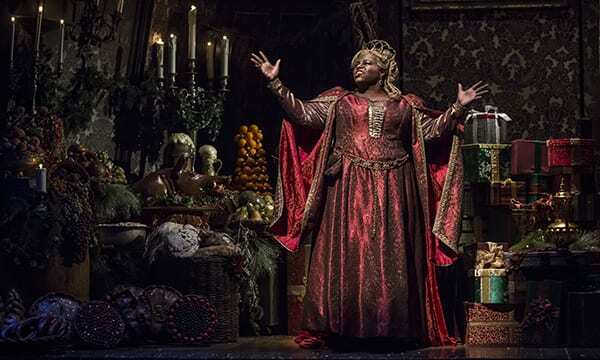 A Christmas Carol, Goodman Theatre, closes 12/30/2018. 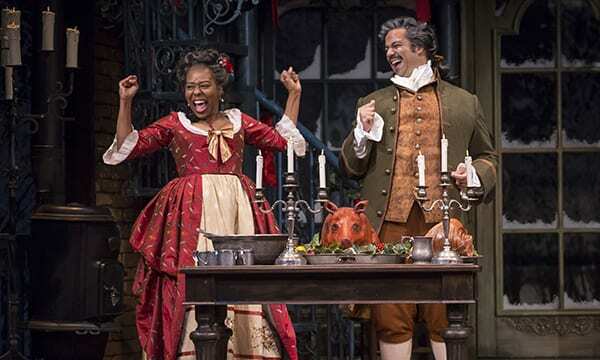 JASMINE BRACEY (Faculty) and LARRY YANDO (MFA, Acting, ’88) are in the cast. JASON GOFF (MFA, Acting, ’15) understudies. KEITH PARHAM (BFA, Lighting Design, ’98) is the lighting designer and ALDEN VASQUEZ (Faculty) is the production stage manager. Support Group of Men, Goodman Theatre, closes 7/29/2018. RYAN KITLEY (MFA, Acting, ’98 and FACULTY) and ERIC SLATER (BFA, Acting, ’17) are in the cast. ISAAC GOMEZ (Faculty) is the dramaturg, JACK MAGAW (Faculty) is the scene designer, and ALDEN VASQUEZ (Faculty) is the production stage manager. Father Comes Home from the Wars (Parts 1, 2, & 3), Goodman Theatre, closes 6/24/2018. DEMETRIOS TROY (BA, Acting, ’04) and JACQUELINE WILLIAMS (BFA, Acting, ’87) are in the cast. COURTNEY O’NEILL (BFA, Theatre Studies, ’06) is the scenic designer, KEITH PARHAM (BFA, Lighting Design, ’98) is the lighting designer, and MICHELLE LOPEZ-RIOS (Faculty) is the dialect coach. Having Our Say: The Delaney Sister’s First 100 Years, Goodman Theatre, closes 10/10/2018. LINDA BUCHANAN (Faculty) is the set designer, JOHN CULBERT (Dean) is the lighting designer, DANIEL FRIEDMAN (BFA, Lighting Design, ’15) is the assistant lighting designer, BIRGIT RATTENBORG WISE (Faculty) is the costume designer, and NAN ZABRISKIE (Faculty) is the makeup and hair consultant. Blind Date, Goodman Theatre, closes 2/25/2018. VAHISHTA VAFADARI (MFA, Acting, ’15) is the assistant dialect coach. The Wolves, Goodman Theatre, closes 3/11/2018. TAYLOR BLIM (BFA, Acting, ’15) and SARAH PRICE (BFA, Acting, ’12) are in the cast. KRISTIN IDASZAK (BFA, Theatre Arts, ’09) is the dramaturg, KEITH PARHAM (BFA, Lighting Design, ’98) is the lighting designer, and COLLETTE POLLARD (BFA, Scenic Design, ’00) is scenic designer. A Christmas Carol, Goodman Theatre, closes 12/31/2017. BREON ARZELL (Faculty) and LARRY YANDO (MFA, Acting, ’88) are in the cast. KEITH PARHAM (BFA, Lighting Design, ’98) is the lighting designer. ALDEN VASQUEZ (Faculty) is the stage manager.